Submissions are now OPEN via FilmFreeway! Submissions for the 2018 edition of the First City Film Festival are now open through Film Freeway! Please click on the button above to be taken to our submission page. Huge thanks to all of our sponsors - and best of luck to all of our filmmakers! Judges and ticket information to be announced soon - stay up-to-date with the latest from the First City Film Festival FaceBook page. 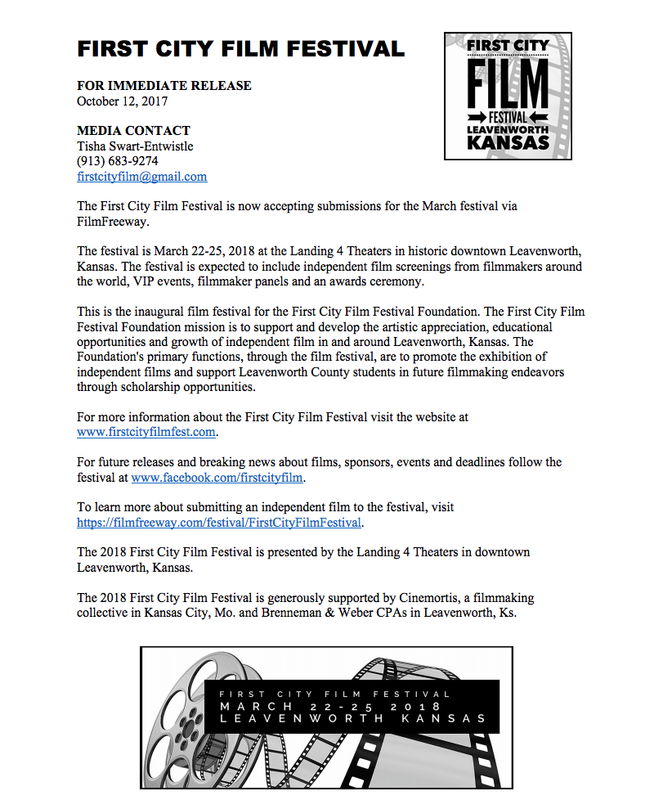 The 2019 First City Film Festival was supported in part by the Kansas Creative Arts Industries Commission, which receives support from the National Endowment for the Arts, a federal agency.